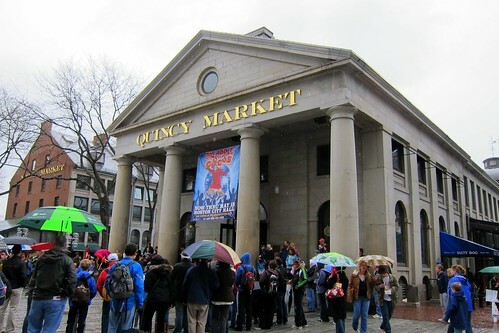 If you ever find yourself on a touristy jaunt in Boston taking a walk on the historic Freedom Trail, you might like to stop off at Faneuil Hall for a bite or two at the rather nifty Quincy Market. 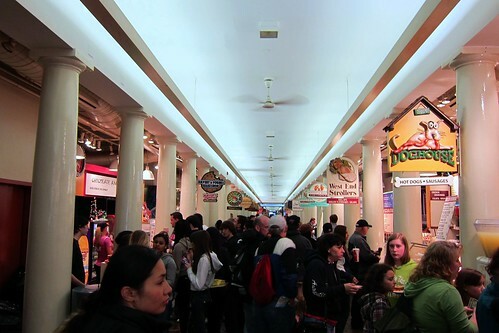 This bustling food court is jam packed with dozens of tasty options, from pizza and hot dogs to sushi and noodles. 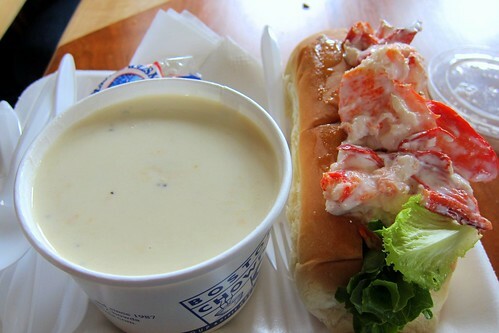 Being in Boston the thought of more delicious local seafood took my fancy and I opted for clam chowder and a lobster roll from Boston Chowda Co. The soup was rich and delicious and the soft white roll was full of sweet, tender lobster meat in a creamy mayo. 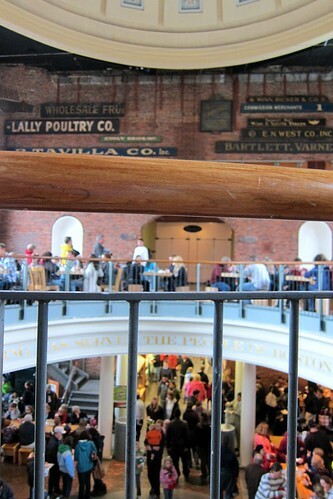 If you’re lucky you can nab a table in the middle of the market, surrounded by brick walled splendour beneath a beautiful domed roof. 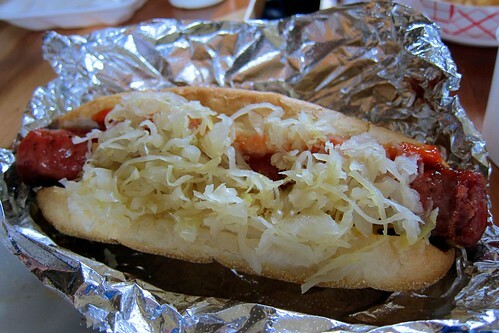 We also tried a polish sausage in a New York style hot dog. I have no idea what that means but it was pretty good!